Hollybeary Creations : Right at Home Holidays..
Today I'm part of a fun Blog Hop to kick off the Right at Home Holiday Inspiration Guide e-Book. Nicole at Right at Home has put together a Fabulous ebook full of ideas and inspiration for all your Holiday Project ideas. You can purchase this eBook in the store for $5.. there are several ideas for projects from Tags to Cards. These projects are perfect to create with Nicole's Holiday Stamps as well! You can use the inspiration in the book as a starting point and use what products you have on hand as well. I used the project on the last page of the book for my inspiration. I created an Olive card base and then I added a piece of pattern paper. I die cut the MFT InstaFrame from the same color of Olive card stock. 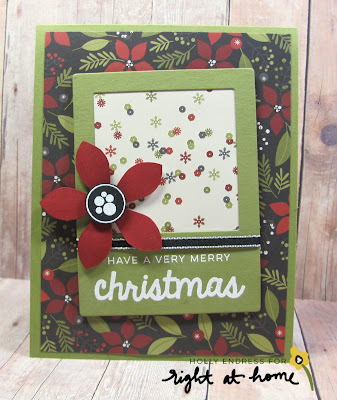 I stamped the sentiment from the Christmas Sentient set from RAH and heat embossed it in White. I added a piece of pattern paper behind the frame and then I added some black ribbon and adhered it to the card front with some dimensional adhesive. I stamped the flower image onto a piece of Red card stock and trimmed it out and then I stamped the center image onto a piece of Black card stock and heat embossed it in White and cut it out. I added the flower to the side of the frame. 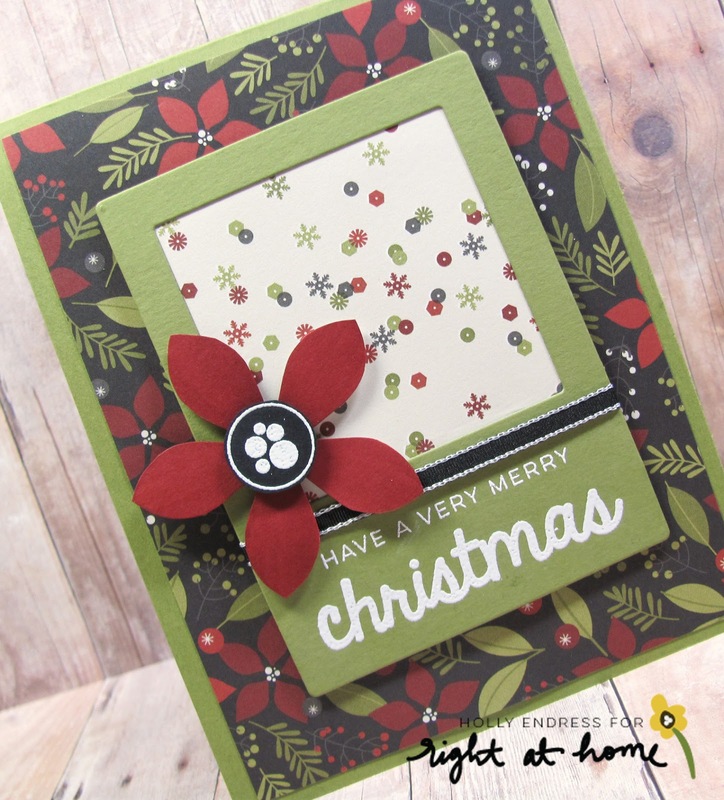 I love how the Flower in the pattern paper matches the flower in the Poinsettia set. 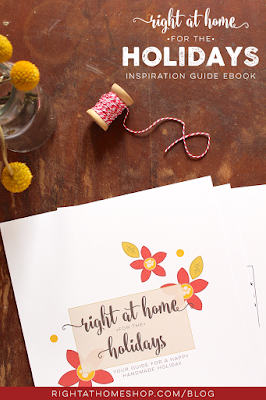 Are you ready to Hop Along and see some other great projects using the Holiday ebook from Right At Home? ?